You may enjoy all our draught drinks (wine, beer and soft drinks) both at the restaurant and at the bar. Choose freely what you wish to drink whether your stay is part of the All inclusive OPEN BAR with Beach or the All inclusive OPEN BAR. You are on the beach at sunset sipping a cold drink, what more could you wish for? From this year if you stay in the Hotel with the All Inclusive formula you have the open bar included in your stay. Enjoy unlimited wine, beer, and soft drinks directly on tap both at the outside bar or at the Hotel restaurant, every drink is already included in your holiday rate. 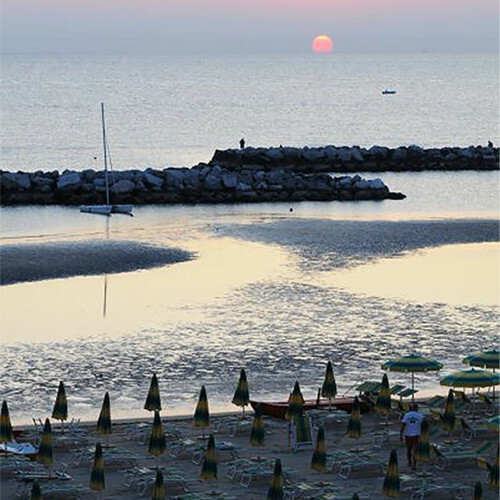 Unlimited drinks at the Baia Hotel in Rimini, every moment is the right one to drink to summer. You’re free to cool off with a nice iced drink whenever you want. Not only that, you are staying just a step away from the beach; not only is there a solarium with a swimming pool and whirlpool overlooking the sea available for diving and swimming, now the Baia Hotel wins over your holiday with the luxury of the open bar. 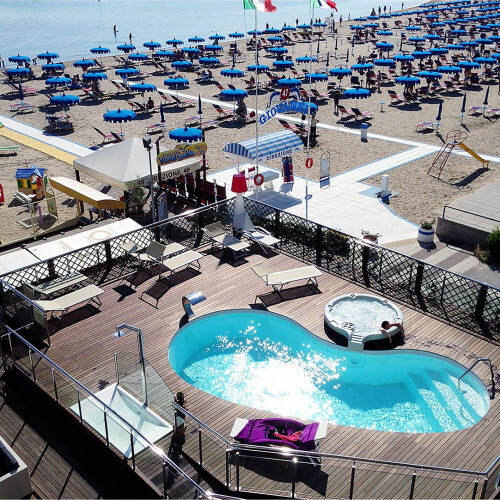 Your holiday is really an All Inclusive one in Viserbella di Rimini: just get your suitcase for the seaside ready and come and experience all the wonders of an all-inclusive stay.